I don’t buy into Nicky Hagar’s dirty politics meme. I think Hagar took something that is commonplace in political circles and by clever literary subterfuge, made it something abnormal to gullible readers of his book. He was aided in this deception by a large contingent of NZ’s left wing media, sympathetic to his cause and largely anti-National party. Even if you want to say the feeding of blogs with smear and innuendo was wrong, you might be right, but in fact its done by all sides of politics. The thing that got the hard left upset was that their soft left opponents had got the better of them through the popularity of the Whale Oil Site. When it comes to the smear, no one has been more of a target than Kim Dotcom. Whaleoil has been joined by Kiwiblog and other minor Nat party blogs in a relentless campaign of denigration. Kim Dotcom made it clear his enemy was John Key, and the battle was engaged and in the long run and not unexpectedly, KDC lost. However he put up one hell of a fight. Shaking NZ to its political roots in an attempt to gain the leverage necessary to combat the National party’s weak submission to the Obama govt’s prosecution. Today both Whale Oil and Kiwiblog are running hit pieces on KDC. Both pieces skip over what is to my mind the main story. They mock KDC for being broke and being unable to pay his legal bills. In fact Dotcom is not broke. He’s had his assets seized in a manner that many legal voices say is a process that is a denial of natural justice. The recent court decision was a win for the Obama govt, in that Dotcom and other’s defending against the Hollywood driven case must cease legal proceedings aimed at freeing these assets. How can anyone pay the legal bills that might be required to defend themselves when their assets are “frozen” by the very force that is prosecuting them? Even worse, how can a court find that legal proceedings aimed at freeing those assets must cease?? National Party flunkies are cheering this event at the moment, which is why I call them soft left. If they truly oppose big powerful out of control govt, as any genuine right winger should, they would surely not be applauding such an injustice. I believe any man, even if he is a “fat German slob whom everybody hates” (to use the vernacular common on Kiwiblog and Whaleoil) is innocent until proven guilty and should be given a fair opportunity to defend himself. What other point to the seizure of assets is there in KDC’s case other than the US govt’s desire to undermine this right? I’m a believer in the old adage “there but for the grace of God go I”, and if I was in KDC’s position I would want to be treated fairly and justly. That Kim Dotcom engaged in a personal contest with NZ prime Minister John Key is not any kind of reason for me to change that view. Asset seizure is a policy that has been much abused by law enforcement agencies over the 15 years or more the legislation has been in force. Recent changes have stopped it cold. 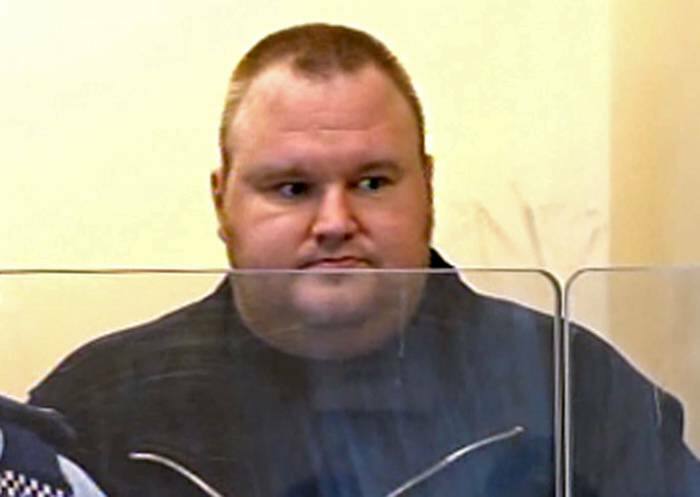 Too late for Kim Dotcom though. Yes I have long lambasted Blubber Boy about being a closet Gay and Labour supporter. He is not alone there must be a lot of National supporters with identity issues, and few alternatives. You and I both know they don’t oppose big powerful out-of-control government, Red. They love progressive liberalism, so long as the gang-bangers running the show wear the correct colour of bandanna. They’re tribal, just as much as the union scum are hard-Left tribal. It isn’t a contest for freedom and liberty so much as a football match. They’ll support their own team, regardless of what they do, and cry foul when the other side do exactly the same thing. John Key is, in fact, the Chief Hypocrite but since he wears the correct coloured bandanna, he gets not just a pass, but enthusiastic and vocal support. I wonder if the Key supporters ever think about how they will criticise any Labour govt that takes power in the future. Leftists will be able to defuse any attempts at criticism quite easily by saying “well you were for it when John Key was doing it”. The National Party has completely refused to take away the foundations of communism/ socialism that Labour built into our society, and continues to practice socialism as enthusiastically as Helen Clark, yet their supporters still cheer them as free marketeers in an example of self delusion that suggests mass insanity. Yeah – and I’m a believer in the old adage “Hang all the Commies!” (for individuals) and “Nuke ’em till they glow and shoot ’em in the dark” (for enemy countries).